Twitter is coming out with many new features like verified accounts, Locked accounts where you can only see the details of the account like the username and persons details but you will not be able to view the persons photos or the photos which were shared by the user. Facebook and Twitter users are increasingly using this locked or hidden feature to safeguard their photos from stalkers or prying eyes and just allowing followers or friends to see their photos. Here is a free and simple trick to view these photos. Copy the Username or the “iam_hidden” part. 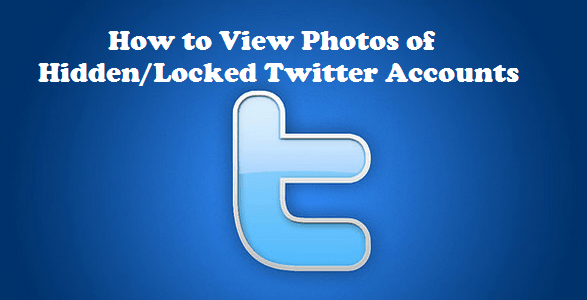 This trick can be used on locked or hidden twitter accounts and if you can also use this to view photos or normal accounts as well. I have heard many people asking to share this trick and here it is and the good thing is it is simple, easy and free. We will also share tricks to view locked facebook photos in the future posts.